Sticking to your diet is hard for everyone during the holidays, but it can be especially tricky if you’re trying to stick to a bariatric diet. It seems that no matter where you go you’re greeted with pumpkin pie, sweets, potatoes… you get the picture. Holiday foods are great, and they’re part of what makes the holidays so memorable. Practicing a bariatric diet doesn’t mean that you can never enjoy the holidays again, it just means that you have to actively practice moderation. 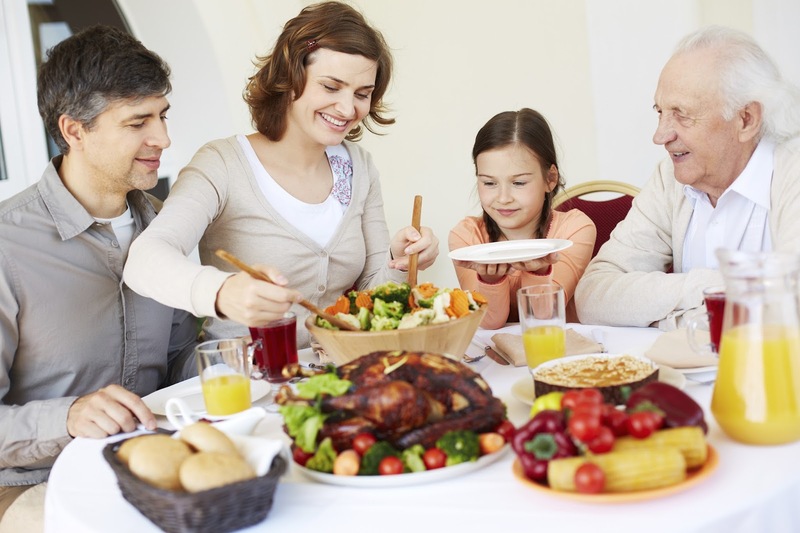 To help you navigate, we’ve highlighted some tips on how keep your bariatric diet during Thanksgiving. Don’t worry, none of these guidelines are painful and all of them will still allow you to enjoy food. Always have something healthy within reach. This might sound a little silly, but it definitely works. It’s important to have your favorite healthy food around, think holiday veggies like roasted broccoli with pepper or roasted asparagus, food that you can eat to your heart’s content. This is especially important if you’re going to someone else’s for Thanksgiving. If so, bring some healthy food! Your host will thank you profusely for bringing some extra food and you’ll have something to eat that wasn’t soaked in butter. Modify your favorite dish. Even though the recipe says to add lots of butter and sugar and other unhealthy things doesn’t mean you have to do it. For instance, instead of sugar, use Splenda or another alternative. You can even adapt this approach if you’re making a turkey. There are great tips out there for cooking a healthier turkey, including using a fat-free chicken broth, reducing oil and butter whenever you can and using plain yogurt for items such as mashed potatoes and casseroles. If you’re going to someone else’s, eat beforehand. Unhealthy food can look really tempting if you’re hungry. Always keep healthy snacks with you, such as a protein bar or protein shake, to fight the cravings. Eat the turkey or the ham first. We know you’ve heard this before, but protein is your best friend. Bariatric dieters should eat protein first because it is crucial to keeping your weight steady and keeping a lean body mass. No matter what this holiday season, make sure to always eat your protein before you eat anything else. That wasn’t so painful now, was it? We know the holidays can be stressful while maintaining a diet and we’re here to support you. After following our tips, the best advice is to be confident. Don’t let food scare you and most of all, don’t forget to enjoy the holiday season. Got any tips for surviving the holidays we didn’t mention here? Let us know in the comments below!